This week The Greenfield Gallery got a surge of visitors to its latest exhibition! The groups of Year 2 students visited Greenfield Arts for a day of art, gallery and new ways of teaching and learning – all part of the school’s International Symposium! After a visit to the gallery and a chat about colour the groups used their new inspiration to make their own paint and paint pictures for their own gallery. The day was rounded off by a visit to Room 13, and the question “Why do we like some colours but not others?” – with some insightful and interesting thoughts from the two groups. 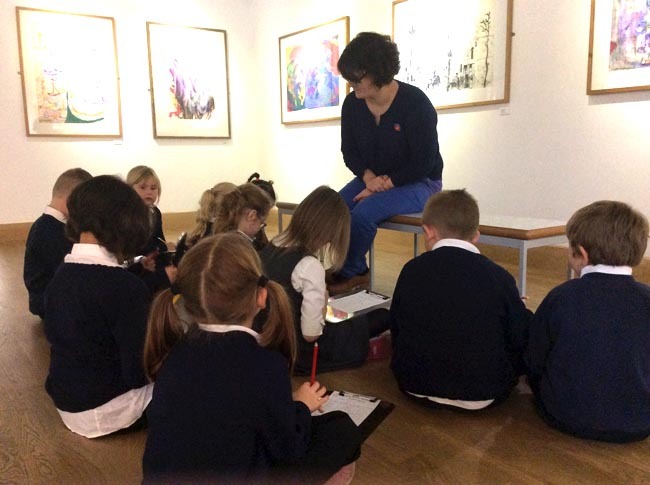 “It was great to welcome some younger visitors to the gallery and our symposium of Teaching and Learning, we are really glad they enjoyed their visit as much as we did!” said the school. Next article AYCLIFFE FIREWORKS DISPLAY BACK ON - OFFICIAL!